International Chefs Day 2009 focuses on food safety and food waste. 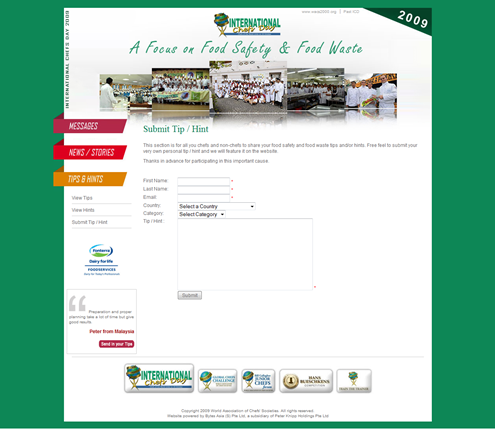 If you have Tips or Hints on food safety and food waste, feel free to share with all through World Association of Chefs Societies (WACS). It is easy to submit. Simply click the image below and proceed further.